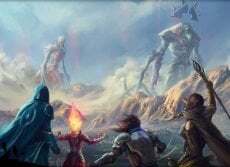 MTGA went Open Beta now, and we are looking at the huge amount of updates. Lets see what official source says about it. As those of you who were with us throughout Closed Beta already know, introducing a whole new set is no small feat. As such, the release of Guilds of Ravnica is the backbone of this update, introducing 273 new cards, 5 new mechanics, Sealed, and more. This also means that with the start of Open Beta, we’ll maintain “full Standard support” for all our new and returning players, and in this case – two days before Prereleases at you local game store! Every Standard legal card is available in Arena, including Buy-A-Box Promos and cards from the Vraska and Ral Planewalker Decks. We’ve also introduced a new Ravnica-themed game board, complete with plenty of things for you to interact with – so click away! While we went the extra mile as far as visual and audio effects are concerned (and you can read more about those below), we all know it’s what’s on the inside that counts. There’s a lot of back-end improvements and rule fixes to eliminate known unexpected match completes, as well as a number of quality of life improvements. For cards like Fight with Fire, when your opponent is splitting damage between multiple targets you will now see the damage assigned to each target. We now support simultaneous mulligans, which speeds up the mulligan phase of matches. The player on the draw can’t accept their hand or mulligan until the player on the play has chosen to mulligan or keep, but they’re no longer waiting to see their hand! The Battlefield layout has been refined to keep cards in a single row for as long as possible, and for the Planeswalker/Saga section to display 6 cards before it goes to paging and to page with 4 cards visible instead of 2. The spacebar will now activate the orange button in-game browsers. When a card prevents an expected action from occurring (like Rampaging Ferocidon preventing life gain), pulse VFX play on the card preventing the action. During steps/phases where we only stop for responses or manual stops, we no longer stop after the stack is empty. For example, when your opponent has a Search for Azcanta in play, you will no longer need to manually pass to their draw step after the trigger resolves. Where you want to take an action after the trigger resolves (for example, after Teferi, Hero of Dominaria’s +1 resolves during your end step), use full control or set a manual stop on that step/phase. To the Selesnya, every soul matters. Rely on the power of community with Convoke. Each creature you tap while casting a Convoke spell pays for one mana of that creature’s color(s). Spells with Convoke have a Selesnya-themed badge that is highlighted when you have enough untapped creatures to assist with casting a Convoke spell. Please note that you will have to manually select which creatures to tap if you’re using them for Convoke. When a creature is tapped to pay for the convoke cost, it’s surrounding by a Selsnya guild symbol. As Ravnica gets more and more dangerous, the militaristic Boros train hard to eliminate weak links in their forces with Mentor. Whenever a creature with Mentor attacks, it can add a +1/+1 counter to another target attacking creature with lesser power. When declaring attackers, creatures with Mentor have a badge that is highlighted when another creature with lesser power is also attacking. Boros VFX play when a creature with Mentor puts a +1/+1 counter on another attacking creature. Multiple Mentor triggers are automatically ordered to provide the most possible +1/+1 counters (Mentor creatures with the highest power resolve last). Please Note: Mentor checks when you declare attackers, and the target must still be legal when the ability resolves! Death and rot are no strangers to the Golgari. Everything can be repurposed, reused, and recycled. Cards with Undergrowth abilities get stronger for each creature card in your graveyard. The number of creature cards in your graveyard is displayed on the Undergrowth cards as well as on your graveyard if you are playing with Undergrowth cards. This information is not visible to your opponent until you play an Undergrowth card. To House Dimir, information is everything. When you Surveil you look at the top card or cards of your library, put any number of them into your graveyard and the rest on top of your library in any order. Dimir VFX for the Surveil browser – the browser shows the Guild symbol behind your library and graveyard. The Dimir symbol is also shown over your opponent’s library when they Surveil. Experiments, explosions, and excitement: the Izzet love to invent their way to victory. Their latest breakthrough is Jump-Start. You can cast a Jump-Start card from your graveyard by discarding a card in addition to paying its other costs. You then exile the Jump-Start card. Spells with Jump-Start have a badge that is highlighted when they can be cast from the graveyard and appear as a “near hand” castable. Izzet VFX play when casting a spell with Jump-Start from your graveyard. In addition to keyword mechanics, each Mythic also has it’s own unique VFX (with Niv Mizzet as our ‘plus one’, because even Rare Guild Leaders need love). But listen closely… … … did you hear that? On the Ravnica battlefield, when you play a card with a Guild watermark, the music will dynamically change to a style unique for that guild for a time until returning to the Ravnica theme. We’ve also made Planeswalker animations ‘snappier’, and their enter the battlefield effect will also correspond with their color identity. Ultimately, this is the kind of polish and “visual fidelity” you should expect from Magic: The Gathering Arena going forward. Yes, looking cool is important, but it’s even cooler if you can convey important game information at the same time. While it won’t be featured as a button, yet, we have implemented the ability to sort by set using the search bar. If you enter E: GRN in the search bar, the results will show every Guilds of Ravnica card. The same is true for Ixalan (XLN), Rivals of Ixalan (RIX), Dominaria (DAR), and Core Set 2019 (M19). And no, that isn’t a typo – for Domaniaria you will need to use the original three letter code DAR. 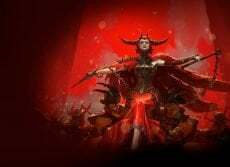 In the days – or even weeks – leading up to the Open Beta announcement, many of you noticed us pointedly avoiding questions on how we were going to handle Rotation. We hope you’ll forgive us for artfully dodging the question, as announcing our plans for rotation (namely, it would coincide with an account wipe) would only further tip off that Open Beta was coming. 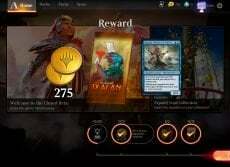 So yes, Amonkhet, Hour of Devastation, Kaladesh and Aether Revolt are now removed from Arena, including packs from the store and the ability to redeem Wildcards for cards from those sets. Our goal is to ultimately provide a format beyond Standard for Arena, though what that ultimately looks like will likely develop throughout the next year. Creating this new format isn’t something we want to rush into, and this lets us go into Open Beta with a much more reasonable amount of initial content. Beyond that… who knows. And before you ask – “Modern” as a format includes over 15 years of Magic: The Gathering, spanning 61 sets, dozens of keyword abilities, and almost 12,000 cards. In short, it’s a lot of work and realistically years of development time to fully support it. What’s in a name? That which we call ‘Quick Play’ by any other word, would still have no entry fee. Which is just as well, because we’re also fine tuning our naming conventions. Competitive will still be “Competitive”, and anything marked “Competitive” will be an indicator of a Best of Three format. We are, however, dropping the use of “Quick” for some of our Best of One formats (and no, this isn’t because of Turbo Fog). The trouble with using a moniker for our Best of One formats is that we weren’t consistent with the implementation. We used it for “Quick Draft” and “Quick Play”, but there was no such thing as “Quick Singleton”, “Quick Pauper”, “Quick Momir”, etc. on Arena, even though they were also Best of One formats. Going forward, we’re going to be more consistent with our labeling. If you see “Competitive”, you’ll know it’s Best of Three. If you don’t, it will be Best of One. Welcome to Open Beta! To help “jump-start” your new collection, we will be offering a special no entry required Singleton event all weekend long. Build a deck with only a single copy of any Standard-legal card (excluding Basic Lands – you can have as many of those as you want), and play against others to win prizes. No gold or gems required to join, and you have the opportunity to receive card rewards based on your wins. Each Uncommon card reward has a 15% chance to upgrade to a Rare or Mythic Rare. Event Ends: 4 Wins or 2 Losses, whichever comes first. 1 Win: 1 ICR at minimum Uncommon rarity. 2 Wins: 1 ICR at minimum Uncommon rarity. 3 Wins: 1 ICR at minimum Rare rarity. 4 Wins: 1 ICR at minimum 1 Uncommon and 1 ICR at minimum Rare rarity. Sealed has finally arrived in MTG Arena, and will be available for the start of Open Beta. For those of you eyeing your calendars, this does mean you can Sealed Guilds of Ravnica in MTG Arena two-days before you can play it in stores. Already signed up for a Prerelease at your local game store? Awesome! 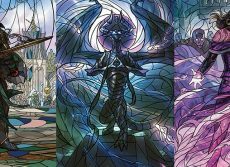 You’ll also be receiving a unique Promo Code inside any Guilds of Ravnica Prerelease pack that can be redeemed inside MTG Arena that will grant you entry into a Guilds of Ravnica sealed event (limit 1 per account). The code will be located inside your seeded guild pack, and all promo codes are cAsE sEnSiTiVe. Be sure to enter it exactly as it appears on the card, though if you have any issues you can always contact our Customer Support team. Entry Fee: 2000 Gems or Entry Ticket (via Promo Code, limit 1 per account). Event Ends: At 7 Wins or 3 Losses, whichever comes first. 0 Wins: 200 Gems and three Guilds of Ravnica Boosters. 1 Win: 400 Gems and three Guilds of Ravnica Boosters. 2 Wins: 600 Gems and three Guilds of Ravnica Boosters. 3 Wins: 1200 Gems and three Guilds of Ravnica Boosters. 4 Wins: 1400 Gems and three Guilds of Ravnica Boosters. 5 Wins: 1600 Gems and three Guilds of Ravnica Boosters. 6: Wins: 2000 Gems and three Guilds of Ravnica Boosters. 7 Wins: 2200 Gems and three Guilds of Ravnica Boosters. You might want to leave you ‘jank’ in the Deckbuilder for this one. Or maybe not, if you think you’ve brewed up something truly special. With the Competitive Metagame Challenge, a single loss will send you packing, but if you manage to go 7-0 in this Standard, Best of Three format you’ll reap some truly amazing rewards.